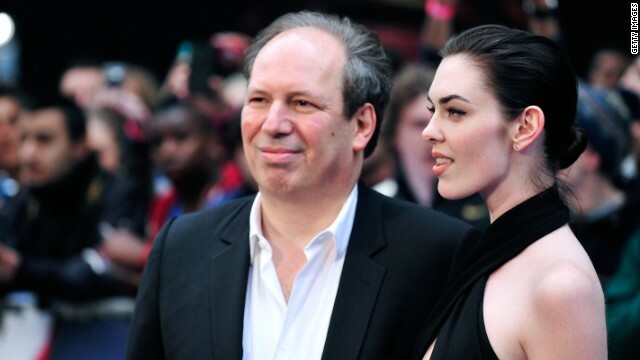 Hans Zimmer and a friend at the premiere of "Man of Steel." While audiences this weekend are sure to marvel at the action sequences of "Man of Steel," it's Hans Zimmer's music that will be the unseen star of the show. Arguably one of the greatest composers in cinema, Zimmer is the Oscar-winning mind behind classics such as "The Lion King," "Gladiator" and "Driving Miss Daisy." He was the latest guest for CNN Radio Music Notes, where he opened about his making the music for "Man of Steel," his writing process and some of his fondest memories along the way. Here are a few quick bites from Zimmer's chat with CNN Radio. CNN: How did you settle on a musical theme for "Man of Steel?" Zimmer: The clue, the hook for me, the way in was isn't it about time we just put our cynicism aside a little bit and just celebrated honest people – folks, farmers, people that leave their doors unlocked in the Midwest, people who don't make the news. This idea of where do you belong, who do you listen to, and ultimately this sort of quest which I think all of us in one way or another have – how do you become more human? CNN: Despite your success, you say there's a process you always have to fight your way through when starting a new movie? Zimmer: The blinding fear of the blank page. There was a lot of procrastination and re-evaluating one's self worth and all that ... each one gets harder. Every new movie you're being asked to re-invent yourself. CNN: What makes memorable movie music? Zimmer: Ultimately, I think it's the story. I try to not to objectify the music so where it sort of sits on top of the movie. I try to have it come out of the screen, I try to create a sonic world that the characters can inhabit and I slither into the sound design area more often than not. 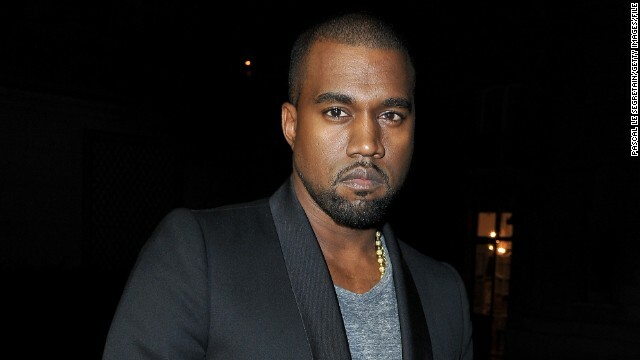 According to forecasters, Kanye West's sixth studio album, "Yeezus," could be in for one of the biggest chart debuts of the year. A report from Billboard.com says industry experts predict West's sixth studio album will sell 500,000 copies in the first week of release. Those numbers would put "Yeezus" second behind Justin Timberlake's "The 20/20 Experience," which moved 968,000 and stands as the biggest debut of 2013. Forecasters generally use early orders from retail, first week performance of comparable albums, media exposure, radio and YouTube trends to formulate their numbers. 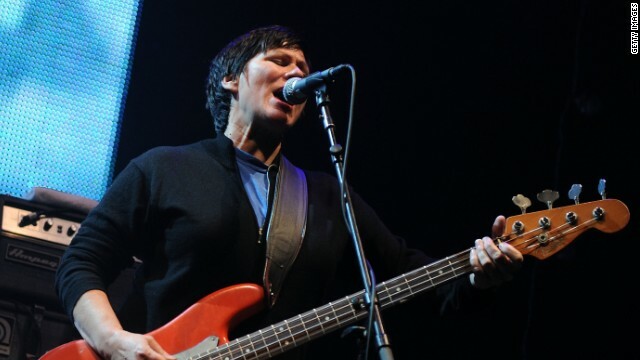 Kim Deal performs with the Pixies in 2009. Kim Deals' days as a Pixie are over. The bassist and one of the founding members of the Pixies has decided to quit the influential band, according to Pixies' remaining members Black Francis, Joey Santiago and David Lovering. News of Deal's departure came via a message on their Facebook page. 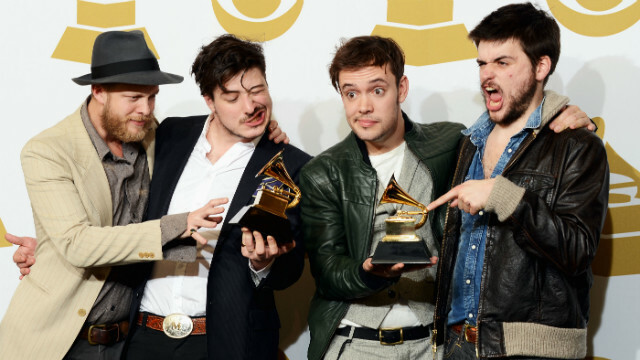 Mumford & Sons show off their Grammys in February. Ted Dwane, left, recently underwent surgery for a clot on his brain. After a scary diagnosis, Mumford & Sons bassist Ted Dwane is on the way back to health, the band said in a statement. "It is with great joy that we can announce that Ted has been discharged from hospital and is on the road to a full recovery," read the statement on Mumford & Sons' Facebook page. "The surgery went well, and the excellent medical team helping him are very pleased with his progress. He has been nothing short of heroic in how he has handled the whole ordeal, and now it has been medically proved that he does indeed have a brain." Lindsay Lohan is done with rehab - at the Betty Ford Center, anyway. CNN Entertainment reports that the actress, 26, recently left the Rancho Mirage, California, clinic, and has moved to a different rehab center. "Lindsay is grateful for the treatment she received at the Betty Ford Center," her attorney, Shawn Holley, said in a statement. "She has completed her course of treatment there and looks forward to continuing her treatment and building on the foundation established at Betty Ford." According to TMZ, Lohan has transferred to the Cliffside Malibu drug and alcohol rehabilitation center in Malibu, California. Lohan is in the midst of a 90-day stint. She had a term of similar length at Betty Ford in 2010. The oft-treated Lohan, who told CNN's Piers Morgan in May that she "could write the book on rehab" - she's had six court-ordered assignments, she said - had high hopes for success this time around. "I look at it as a good thing," she said last month. "I can come back afterwards and be fully focused on work."